The Role Of The Electric Guitar Player Course is designed to strengthen every electric guitarist involved in a worship team or ministry. Whether you are an experienced electric guitar player, or just beginning, this Course will encourage you in your calling, help define your role in the band, and inspire you in your role in the worship team. 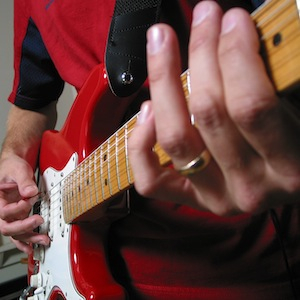 Learn lessons all the way from “why do we do this anyway?” all the way to “how do I wrestle my guitar into obeying my every whim?” This Course is a “must” for every electric guitar player in a local church. For Premium Members, this course is available in multiple formats for you and your worship team.